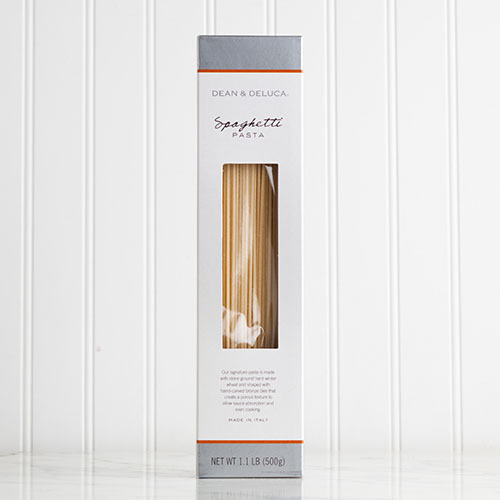 [prodDesc] => Our signature pasta is made with stone-milled whole wheat and winter wheat combined with pure spring water from the Abruzzi Mountains. It is shaped by hand-carved bronze dies, generations old, that leave a porous texture your sauce will embrace. Air dried for nearly three days for glorious flavor and texture. Our signature pasta is made with stone-milled whole wheat and winter wheat combined with pure spring water from the Abruzzi Mountains. It is shaped by hand-carved bronze dies, generations old, that leave a porous texture your sauce will embrace. Air dried for nearly three days for glorious flavor and texture.